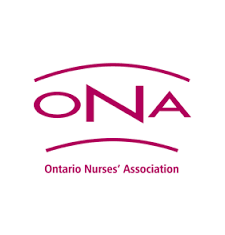 The Ontario Nurses’ Association provides skilled staff to assist members in matters of contract interpretations, contract enforcement and patient care concerns. Local ONA executives represent members at every ONA work site and provide support and information on workplace issues. Finally, all members are kept informed about ONA’s activities via the newsletter Front Lines and through this website. occupational health and safety specialists who advise members and keep them abreast of current and pressing issues in occupational health and safety. They also assist with Workplace Safety & Insurance Board (WSIB) claims. with insurance companies or before government task forces and commissions.